Let’s learn something from this love which might help us in our Life. If we turn the word Radha around, it becomes Dhara, which means to flow away. Opposite of flowing away is flowing towards. 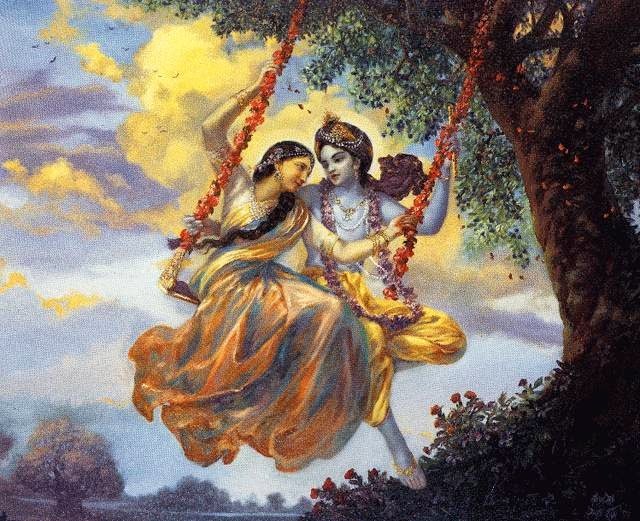 Radha means flowing towards… and flowing towards whom?....Govind! Go in Sanskrit stands for Knowledge. Go-vind is the Giver of Knowledge. So instead of our mind flowing away into the material world, lets flow towards Govind… the Giver of Knowledge! This is what Radhe Govind means!! So live life to fullest with knowledge and get success in every path you flow.